After a marathon two-day summit on 23-24 October, EU leaders agreed to reduce greenhouse gas emissions by at least 40%, and increase energy efficiency and renewables by at least 27%. They also committed to do more to boost growth and jobs and asked the Commission to draft a proposal by December. Meanwhile, a furious David Cameron vowed the United Kingdom would not pay the €2.1 billion bill it was handed by EU on Thursday. The summit has also offered EU leaders the opportunity to thank outgoing José Manuel Barroso and Herman Van Rompuy, and officially welcome the new European Commission, which was approved in the European Parliament in a vote yesterday (22 October). 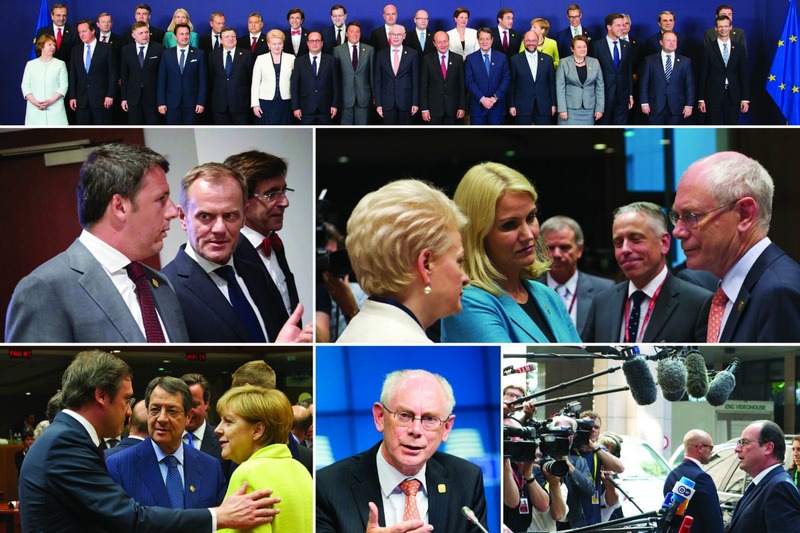 23-24 October: EU summit in Brussels. What you are missing is the cartoon, posted by a certain JC Juncker of the UK Prime Mincer Moron-con & his relationship with that of the head of the UK kippers. oh to be a fly on the wall when they meet – still Dave has a sense of humour doesn’t he? no really it match the reality ..
Not-so-official account of Europe’s most exciting politican, and incoming European Commission President. Yes, it’s a parody account. you have misunderstood the use of the word “certain” in the post. I understand you perfectly Mr. Parr but do others too? as posted elsewhere – the problem is not the French state, the problem is that part of the French state called EdF. French governments can commit to anything they want – but if EdF is not on board – then nothing happens – and almost nothing has happened for +/- 15 years. Ok ! Well Yes until 2030 …long time until there and in2030 it would be the same as today even hotter . Mr Schultz ,do you think an unemployed in Spain or France would give a care about the climate whilst e a huge inequality exist thanks to the north with their “anti-common” currency and a stagnated economies because of lack of solidarity and common rules ? At least they could implements the Euro-bonds . I don’t know why they aren’t going to begin preliminarily with the financial discrepancies which is the core of the whole Euro-zones economies an it’s jobless ?? 600 billions Youth aid without tackling the core first ?That won’t help the high level of unemployment either.